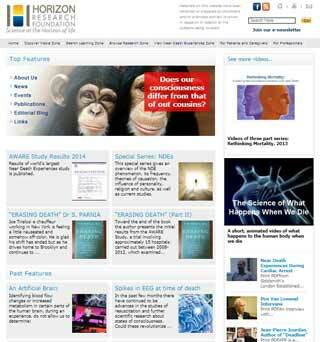 "At the Horizon Research Foundation, we worked with Notting Hill Web Design to upgrade our web site to a new content management system (upgrade to WP). We are delighted by the work. The Notting Hill Web Design team was always quick in responding and solved issues promptly. It was a real pleasure to work with such a professional team. We now have a new wonderful responsive web site, with the latest WP version. We are really very pleased. 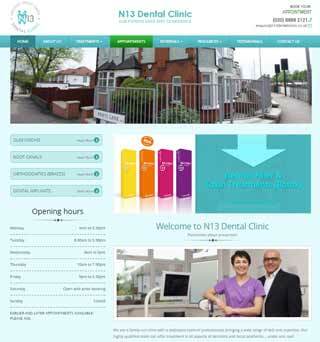 A Ferrero, PhD Horizon Research Foundation"
"After having been approached by so many website developers and internet services catering 'only for the dental business', including some extraordinary price lists, I was referred to Notting Hill Web Design by a friend who worked in a different sector. I gave them a go. My website was setup quickly and hassle-free, even though we had to liaise a bit to get the artwork and the colours right, but that's to be expected. The cost to me was next to nothing, though perhaps that was due to the introduction. I am given my own account to make changes as I like and can link with a support team on-line any time. This is handy. My website needs improvement and NHIS nags me about this all the time . but I'm slow in making my wishes known! I don't hesitate in recommending them to anyone and it shows me that you don't have to only go to providers claiming knowledge only in your industry." 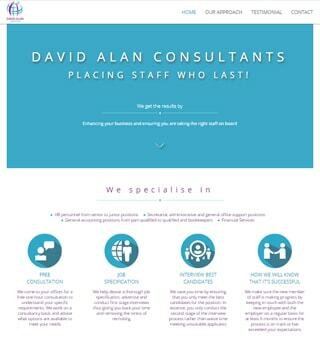 "David Alan Consultants website needed to be reviewed and I was not sure of what I wanted in terms of the new website. I spoke to Fari Peyman from Nottinghill who spent time talking to me about my company and what I wanted to achieve. Fari not only guided me with options and ideas but he project managed the building of my website and took time to understand my business. Mrit, his partner was responsible for developing it and it is better than expected. He added a bit of ‘movement’ on the website and it gives the website personality. I’d not even considered it and was impressed by Mrit’s creative flair. Fari and Mrit are clearly is talented and it was a pleasure having my website built by Nottinghill." 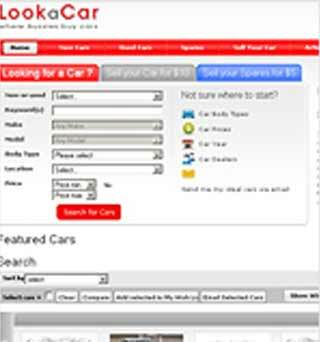 "Just want to say thank you very much for the website. Amber and especially Mirona I really appreciate your patience and help this last year. I really learned a lot working with you guys. Hope to do business again in the future." 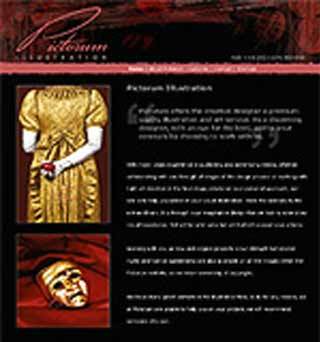 "It was comforting and reassuring to know that the designers understood what message I wanted the website to put across. All my numerous requests for changes were always met with quick and accurate updates. The attention to detail was something that meant a lot to me." "Pictorum Illustration provides creative visual solutions to design led projects within the publishing and advertising media. We needed a site that not only looked strong in a visual sense but could also search and display graphic images in an instant and recall them at differing sizes. We also needed a site that we could content manage ourselves and that was easy to understand. Notting Hill Web Design' content management system does exactly that. The Notting Hill Internet Services team are not only genuinely nice people to work with but also provide a great solution to your business requirements at an affordable price. They are also expert in SEO, so, once your site becomes live, they can help those elusive new customers to find you. I would have no hesitation in recommending their services to any business wishing to hit the net running"
"Notting Hill Web Design helped my online business significantly. 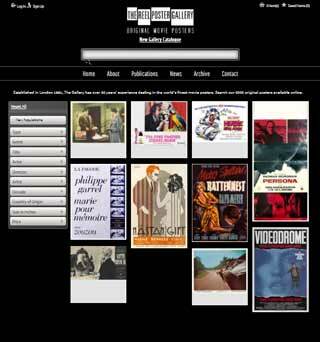 They took over my original website and have made it a profitable online store, allowing me to showcase our original vintage movie posters and related books. They also developed four further websites so I could target more niche markets. They now manage all five sites completely - from domain management and web hosting to site optimisation - leaving me free to run the Gallery and continue my work without the constraints of managing the websites myself." "Notting Hill Web Design helped us transform our old website, which was looking very out of date, into a new and attractive style that is also very functional and simple to use. The updated site is proving to be a very effective communications tool for us and we are continuing to develop it and add new functions steered by the excellent advice of Notting Hill Web Design. We are a small organisation and we like the fact that they are friendly and approachable, as well as affordable! We have found our relationship with Notting Hill Web Design to be positive and professional and it has been helpful that they have also provided accurate quotes for everything so that we know exactly what to expect. Our technical knowledge is limited to say the least and so we have particularly appreciated their advice which has been clear and straightforward for us to follow." 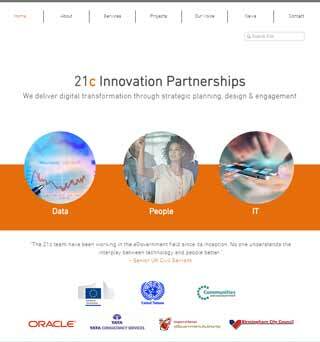 "21c Consultancy is a rapidly growing company in the 'e'-knowledge management sector. We create and deliver successful citizen-centric IT programmes to the private and public sector. It is therefore vital that we have a strong web presence to showcase our services. 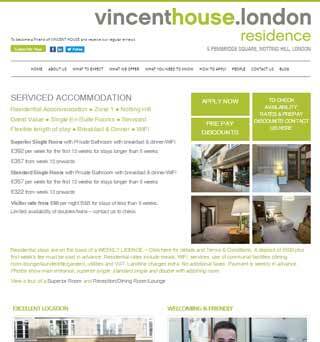 Notting Hill Web Design understood our brief. The team were completely open to our ideas, and helped us to create a website which not only showcases our services but also conveys a compelling sense of our identity. Thanks to Notting Hill's unique Content Management Service, we have complete control over our site and can keep our content up-to-date and fresh, which is vital in our fast moving industry. We would recommend Notting Hill Web Design friendly and professional team to any company wishing to make their mark on the web."